The Master’s programme in Collaborative and Industrial Design (CoID) focuses on design's role in society. It provides skills to work as design entrepreneurs and in a range of roles within industry, business, communities, education and the government. The programme extends industrial design into interaction design, service design, co-design and other emerging fields in which design activities can enhance the quality of the environment and people’s life. Students learn empathic, critical, strategic and technical skills needed in design innovation processes. They are also encouraged to explore novel roles in design industry. The CoID programme perceives design as a human-centred and multidisciplinary collaborative activity. It provides its students creative skills in problem-setting, problem-solving, and teamwork. Over the duration of the programme, students develop an understanding of design in relation to contemporary culture and to the innovation system, be it local or global, private or public. The students achieve an ability to design, lead design work, and collaborate with non-designers, and thus gain the skills to shape change in contemporary communities and companies. Students are trained in concept design, co-design, service design, strategic design, and design research. They learn skills needed to capture and reframe design briefs and problems to justify their insights and make well-grounded design concepts. They learn to construct these concepts with models and prototypes and to argue for and test their design ideas through research. They learn strategic design skills needed in entrepreneurship and to manage innovation in business settings, as well as co-design skills to manage social innovation in organisations and the public sector. The CoID programme fosters students’ skills in designing, communicating, writing and visualising. Students gain an understanding of design research methods and learn to apply them in academic, societal and business contexts. The programme provides the students with skills needed to continue in doctoral studies. These include skills in academic research and analysis of information, in applying these in ill-structured and ambiguous design and research tasks, and in reporting their findings rigorously. The CoID programme is based on design-based problem setting, elaboration, problem-solving and communication. An essential part of the education is project-based. The contents of the education cover: design thinking and communication; briefing; concept design and prototyping; research, implementation and evaluation; and new and emerging themes in design. These skills are applied all the way from product development for business and industry to problems originating from the public sector and non-governmental organisations. Graduates will develop extensive abilities to work in design insdustry and to create and apply design-driven understanding to answer to the challenges of today and tomorrow. Career opportunities vary from entrepreneurship to expert tasks in public organisations and in international business tackling contemporary problems at a global scale. The programme prepares its graduates also for careers in corporate design research and for doctoral studies. Maisterihojelma keskittyy muotoilun innovaatioihin. Koulutus luo ymmärrystä suunnitelun ja muotoilun roolista yhteiskunnassa ja tarjoaa opiskelijoille edistyksellisiä tietoja ja taitoja muotoilijoina työskentelyyn teollisuuden tai liiketoiminnan aloilla, tai kunnilla tai valtiolla. For more information about Master's Programme in Collaborative and Industrial Design, please submit an information request below and the school will contact you with further information. Taiteiden ja suunnittelun korkeakoulu on muotoilun, median, arkkitehtuurin, elokuvan, taidekasvatuksen ja taiteen korkeakoulu. Taideteollisen korkeakoulun ja Insinööritieteiden korkeakoulun arkkitehtuurin laitoksen muodostama uusi korkeakoulu jatkaa edeltäjiensä luomaa kansainvälisesti tunnettua ja tunnustettua osaamista. Uusi korkeakoulu kokoaa ihmislähtöisten ympäristöjen suunnittelun ja toteutuksen alueet sekä humanistis-kulttuuriseen traditioon perustuvat tutkimuksen ja opetuksen alat. Korkeakoulun eri alojen yhteistyö ja vuorovaikutus haastaa teknologialähtöisen ajattelun ja tuo ihmis- ja käyttäjälähtöisyyden entistä keskeisemmäksi ympäristöjen luomisessa. Korkeakoulun ainutlaatuisuus syntyy sen kyvystä yhdistää pitkän perinteen tuoma kokemus uuteen ajatteluun tavalla, joka mahdollistaa uudet luovat ratkaisut. Tutkimuksen kärkialueita ovat muotoilu, digitaalinen media, audiovisuaalinen esittäminen, taide, visuaalinen kulttuuri sekä hyvinvointirakentaminen ja yhdyskunta- ja kaupunkisuunnittelu. Korkeakoulusta valmistuu vahvan taiteellisen ja teknisen ammattitaidon hallitsevia taiteen, muotoilun ja arkkitehtuurin osaajia ja uudistajia. 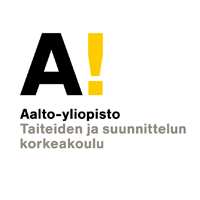 Do you want more information about studies in Aalto University? Sign up for newsletter here! You will receive more information about admissions, student projects and student life. Master's Programme in Collaborative and Industrial Design ei ole saanut vielä yhtään arviointia. Anna oma arviointisi.